Find out which bearings are good candidates for this maintenance strategy. Rolling bearings perform vital roles in all rotating equipment, and bearings for pump and related system applications are no exception. In general, pump bearings support hydraulic loads imposed on the impeller, the mass of the impeller and shaft, and loads due to couplings and drive systems. They additionally keep axial and radial deflections of shafts within acceptable limits for the impeller and shaft seal. Various adverse influences may prematurely shorten the expected life of a bearing. Wear, rust, solid particle contaminants and sporadic metal-to-metal contact are among the typical threats. Material fatigue also may be experienced, resulting from shear stress cyclically appearing immediately below the load carrying surface of a bearing’s rings and rolling elements. Over time, such stresses cause micro-cracks underneath the surface, gradually extending to the surface itself. As a bearing’s rolling elements pass over the cracks, fragments of the material break away (known as “spalling”). This is usually the beginning of the end for a bearing. When a bearing fails, replacing the bearing is certainly an option. But this standard approach can be expensive and may involve long lead times for delivery. 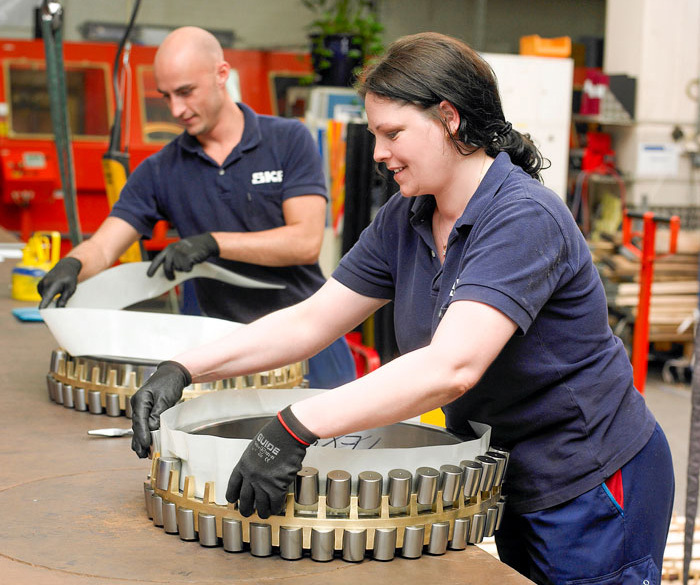 Instead of outright replacement, however, applying a controlled remanufacturing process for the bearing and then returning the bearing to full service offers a practical and cost-effective alternative. 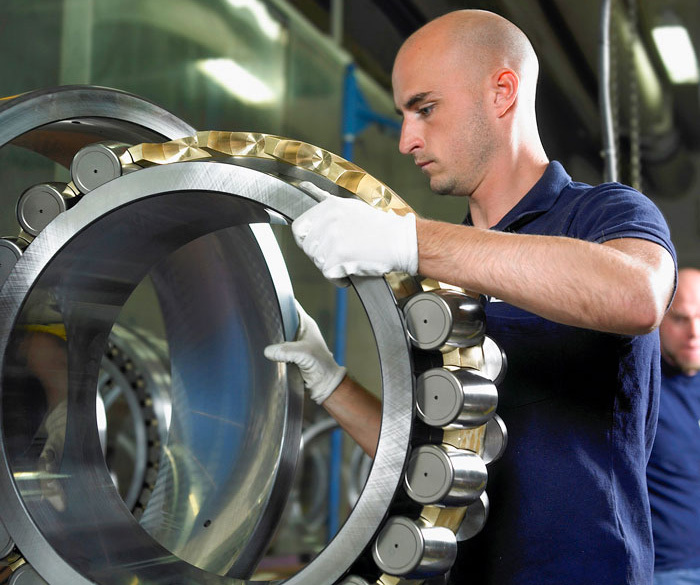 Cost-benefit analysis shows that savings may be achieved by remanufacturing, depending on the bearing size, complexity, condition, price and application. 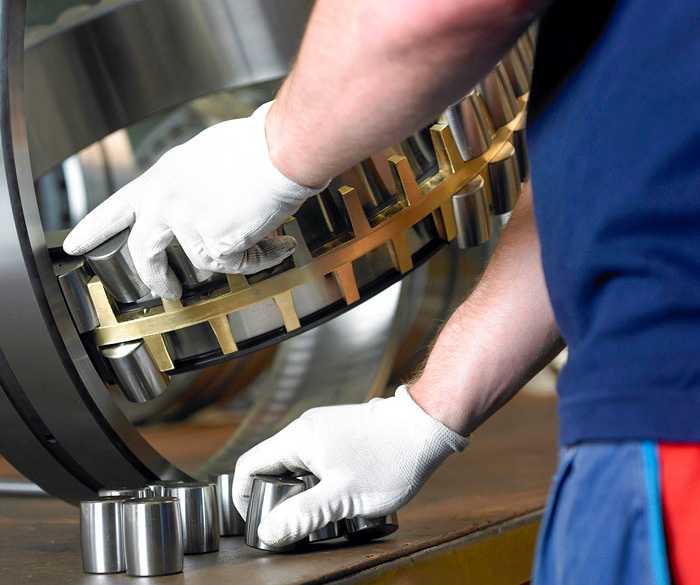 Bearing remanufacturing can contribute to reduced total life cycle costs, longer service life, improved uptime from increased machine availability, reduced environmental impact in terms of less energy and scrap, and enhanced asset reliability.